Here I am in the Woodland Garden on our aphelion, which means that a little later this evening, the Earth will be farthest from the Sun. Since the force of gravity makes us revolve around that Sun, we’re therefore moving the most slowly in our orbit. Ah, that we really could slow summer down, if even for just a few more weeks! 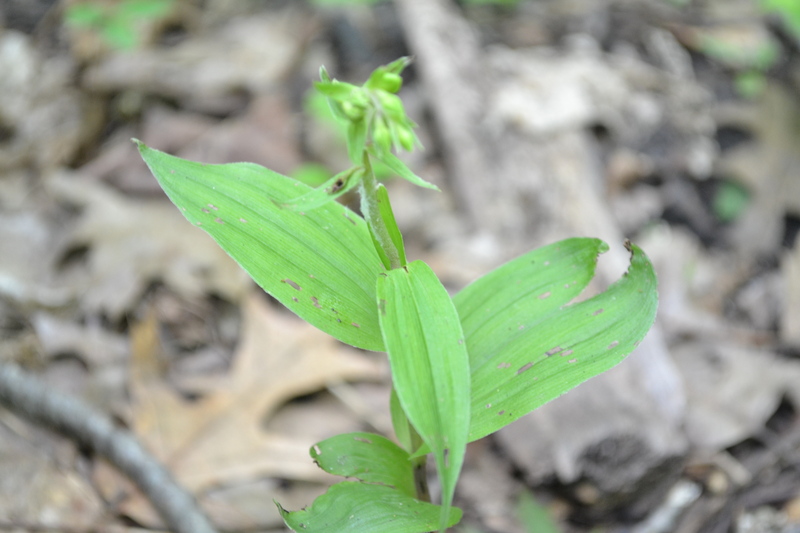 Coming across the sign about the highly localized habitat of the Minnesota Dwarf Trout Lily sets me thinking about the relationship of the Earth and the Sun and how they interact to cause the Ice Ages, at the edge of whose remnants the lily grows. 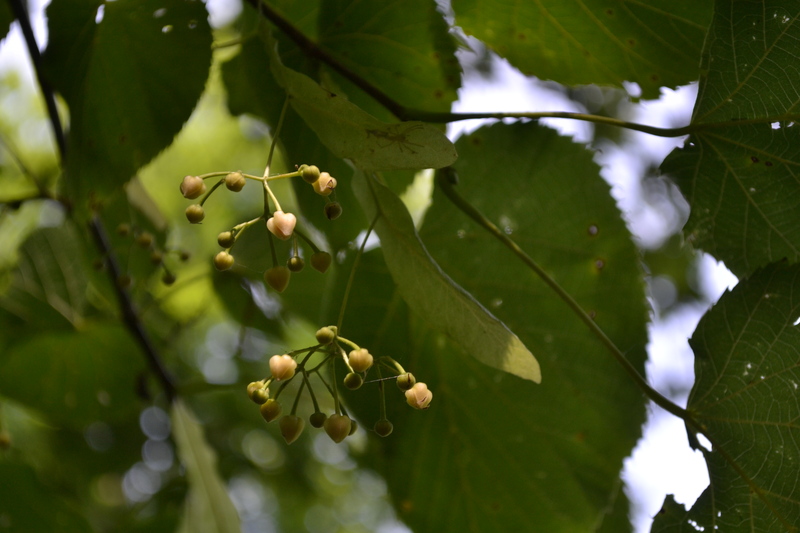 Most plant species in the woods have completed their flowering and have set fruit, structures around seeds that aid in their dispersal. The parallel venation of its somewhat nibbled on leaves reminds me that lilies are among the group of flowering plants called the monocots. Overhead, the fruit of a Basswood tree is nearing the time when it will fall and spin to the ground with its neat attached propeller. The branching veins of its familiar leaves shows it’s a dicot – its seeds have two parts. 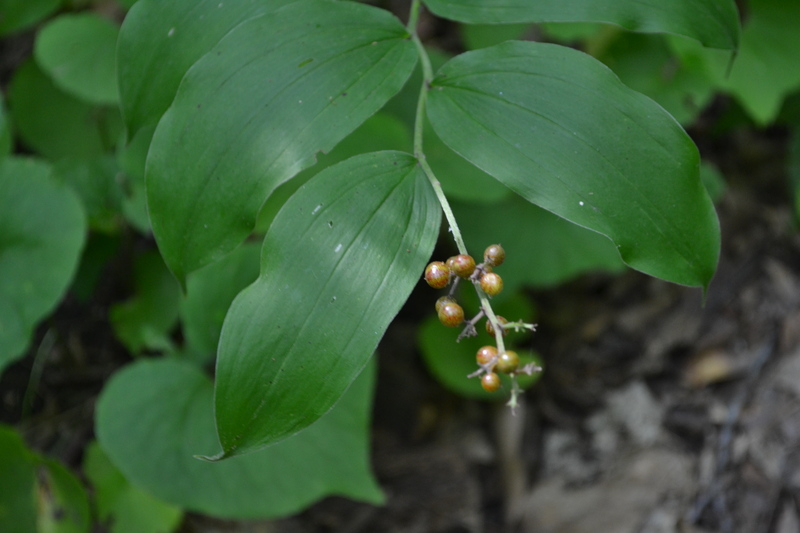 On the floor of the forest, I find my old friend False Solomon’s Seal, whose name I learned so many years ago while hiking with my friend Levi. Its name is exceedingly straightforward: “flowers in May, as a raceme”, that is, it has a long spike of flowers. Now in July, the fruits are found in a cluster at the ends of the stalks. 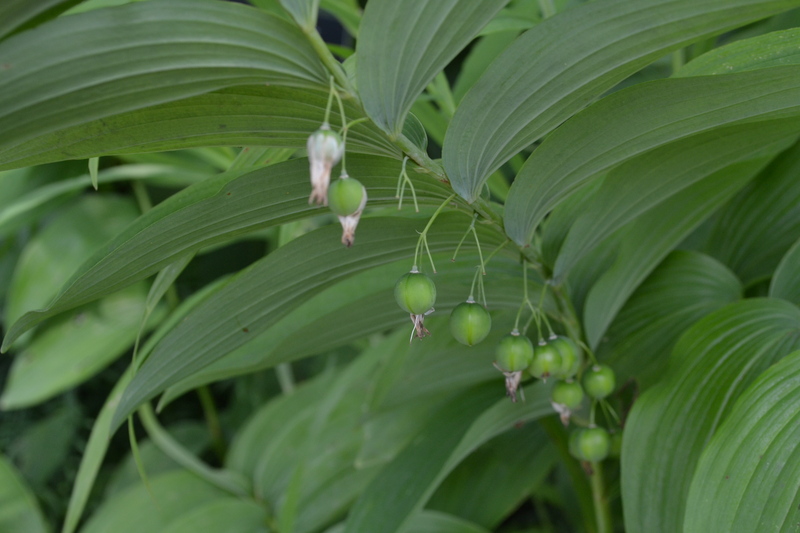 It’s “cousin”, True Solomon’s Seal grows nearby. I can never remember which is which, i.e., which has flowers at the end and which has them, and then its fruits, along the stalk. They get their names from their six-pointed flowers. And they, too, are monocots. Since it’s been plenty wet this year, there’s a variety of ferns growing. 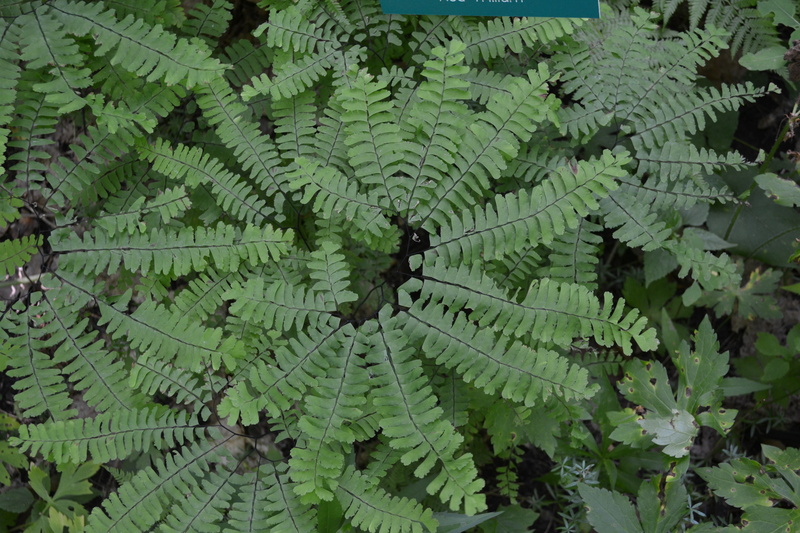 One is Maidenhair Fern, the spirals of whose leaves cause me to reflect on how many living things show this helical pattern, like DNA or proteins.